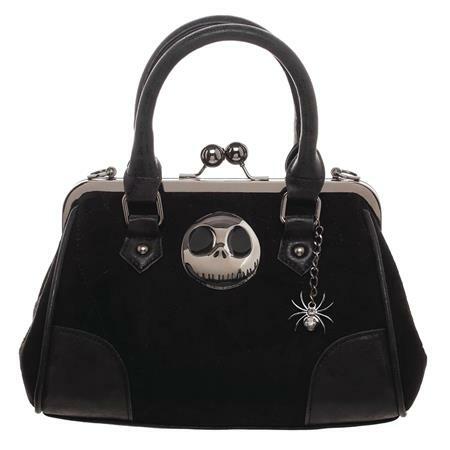 Keep all your treasures in this sleek Nightmare Before Christmas themed handbag! Featuring a metal badge of Jack Skellington and a charm of a spooky spider! The bag is fully lined with a printed fabric along with an interior Zip Pocket! this chic purse measures 11' wide X 7 1/2' tall X 4' deep.